Brock Palen and Jeff Squyres speak with Steve Lionel of Intel about the modern updates to Fortran. Steve Lionel is a Staff Consultant for the Developer Products Division of Intel Corporation. He has been working in and around Fortran products since 1978, including several years as project lead for DEC's VAX Fortran compiler, plus stints working on Ada, Pascal and C++ compilers. Steve joined Intel in 2001 and is now part of Intel's Compiler Technical Support team. Steve is a member of the ISO Fortran Standards Committee, posts frequently in the Intel Developer Zone forums (http://software.intel.com) and he blogs and tweets as "DoctorFortran" at http://intel.com/software/drfortran and @DoctorFortran. Brock Palen and Jeff Squyres speak with Steven Johnson and Matteo Frigo about FFTW - Fastest Fourier Transform in the West. Matteo Frigo is Consulting Member of Technical Staff at Quanta Research Cambridge, Inc. Previously he was Chief Scientist at Axis Semiconductor, and Chief Scientist and Founder at Cilk Arts, Inc. In the past he has worked on parallel programming systems, compilers for exotic machines, signal processing, medical devices, and cache oblivious algorithms. Steven G. Johnson is Associate Professor in Applied Mathematics at MIT, where he joined the faculty in 2004. He previously received his PhD in physics from MIT, along with bachelor's degrees in physics, mathematics, and computer science at MIT. His work on FFTW began in 1997 with Matteo Frigo when the two were graduate students, and led to their receiving the 1999 Wilkinson Prize in Numerical Software. Most of his research centers around the theoretical understanding, computational modeling, and engineering design of nanoscale physics, especially electromagnetism in media structured at the wavelength scale or below. This has included contributions to the theory of nanostructured dielectric waveguides, the design of solar cells and optical fibers, the understanding of van der Waals forces and thermal radiation, and the design of nonlinear optical devices. He is co-author of the 2008 textbook, Photonic Crystals: Molding the Flow of Light, has published over 150 articles in scientific journals, along with several popular free-software packages for scientific computation and optimization. Gerhard Klimeck is the Director of the Network for Computational Nanotechnology and Professor of Electrical and Computer Engineering at Purdue University. He was previously with NASA/JPL and Texas Instruments leading the Nanoelectronic Modeling Tool development (NEMO). He leads the development of nanoHUB.org and research in his Nanoelectronic Modeling group. His work is documented in over 340 peer-reviewed journal and proceedings articles and over 160 invited and 330 contributed conference presentations. He is a Fellow of the American Physical Society and the Institute of Physics and a senior member of the IEEE. UPDATE: Dr. Klimeck has a video on Purdue TEDx. Brock Palen and Jeff Squyres speak with Preston Smith from Purdue, Brian Guilfoos from The Ohio Supercomputer Center, and Andy Caird from The University of Michigan about their CPU cycle allocation policies on HPC systems. Guilfoos leads the Client and Technology Support Group, which provides training and user support to the OSC user community. Guilfoos also works directly with OSC clients to help convert computer codes, develop batch scripting, compiling and code development so that these researchers can efficiently use the center's supercomputers and licensed software. Guilfoos developed and delivered training in MATLAB as a part of the U.S. Department of Defense High Performance Computing Modernization Program support. Prior to joining OSC, he was contracted by the Air Force Research Laboratory to focus on software development in support of unmanned aerial vehicle (UAV) interface research. He was a key technical member of a team that was awarded the 2004 Scientific and Technological Achievement Award by the AFRL Human Effectiveness Directorate. Guilfoos earned a bachelor's degree in electrical engineering in 2000 from The Ohio State University. Preston Smith is the Manager of Research Support for Purdue University's Rosen Center for Advanced Computing. Preston's background is from systems engineering, and over the years, he has worked on grid and distributed computing, led development and expansion of Purdue's large scale Condor pool, and was formerly the site lead for Purdue's CMS TIer-2 facility. Today, his team primarily supports users of our community cluster program. Andy Caird is the Director of HPC at the University of Michigan's College of Engineering Computer Aided Engineering Network (CAEN). He started in HPC in 1992 as the student employee responsible for rebooting U-M's KSR-1 and is now responsible for the staff and operation of Michigan's largest public HPC platform, Flux, in joint effort with Office of Research Cyberinfastructure (ORCI). Andy received his BSE and MSE in Nuclear Engineering from the University of Michigan. Brock Palen and Jeff Squyres speak with Doug Smith and Peter Molnar about the 2012 Student Cluster Competition. Dr. Péter Molnár is an Associate Professor of Computer and Information Science at Clark Atlanta University, where he teaches HPC and AI courses on the undergraduate and graduate level. He received his doctoral degree in theoretical physics from the University of Stuttgart. His research is in multi-agent systems and self-organized control. Brock Palen and Jeff Squyres speak with Jake Porway and Nikki Roda about Data Without Borders. UPDATE: After this interview was finished Data Without Borders finished changing their name to DataKind. Jake Porway is a machine learning and technology enthusiast who loves nothing more than seeing good values in data. He is the founder and executive director of DataKind, an organization that brings together leading data scientists with high impact social organizations to better collect, analyze, and visualize data in the service of humanity. Jake was most recently the data scientist in the New York Times R&D lab and remains an active member of the data science community, bringing his technical experience from his past work with groups like NASA, DARPA, Google, and Bell Labs to bear on the social sector. Jake's work has been featured in leading academic journals and conferences (PAMI, ICCV), the Guardian, the Stanford Social Innovation Review, and he has been honored as a 2011 PopTech Social Innovation Fellow and a 2012 National Geographic Emerging Explorer. He holds a B.S. in Computer Science from Columbia University and his M.S. and Ph.D. in Statistics from UCLA. Brock Palen and Jeff Squyres speak with Aron Ahmadia and Matt Turk about mpi4py a set of MPI bindings for Python. Aron works at the intersection of applied mathematics, software engineering, and application domains as diverse as adaptive optics, semiconductor lithography, and ice-sheet modeling. 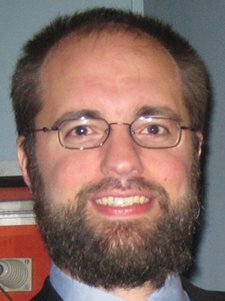 He focuses on the collaborative development of robust, reproducible, and scalable software tools for computational science. He is also a moderator of SciComp Stack Exchange. Matthew Turk is an NSF OCI Postdoctoral fellow at Columbia University, working on simulations of the first stars and galaxies in the universe. He received his PhD from Stanford University and worked at UCSD at a postdoc, and is interested in the high-redshift universe, high performance computing, community building for scientific software,and the development of infrastructure for next-generation simulations, data analysis and visualization. His primary technical projects are yt ( http://yt-project.org/ ) and Enzo (http://enzo-project.org/ ) and he can be found at https://sites.google.com/site/matthewturk/ . NOTE: The first version of this recording was truncated. This is the full show. Brock Palen and Jeff Squyres speak with Simon Willnauer about Apache Lucene a indexing, spellchecking and search library. Simon is the Apache Lucene PMC Chair, a Lucene core committer and Apache Software Foundation Member. He has been involved with Lucene and Solr since 2006 and has contributed to several other open source projects within and without the Apache Software Foundation. During the last couple of years he worked on design and implementation of scalable software systems and search infrastructure. His main interests are performance optimizations and concurrency. He studied Computer Science at the University of Applied Sciene Berlin. He is a member of technical staff at SearchWorkings and a co-founder of the annual BerlinBuzzwords conference on Scalability in Berlin (Germany). Brock Palen and Jeff Squyres speak with Rajeev Thakur and Rob Latham about ROMIO an MPI-2 MPI-IO implementation. 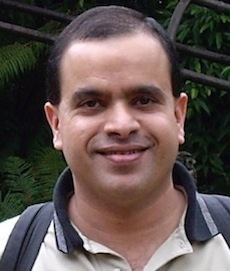 Rajeev Thakur is a Senior Computer Scientist in the Mathematics and Computer Science Division at Argonne National Laboratory. He is also a Senior Fellow in the Computation Institute at the University of Chicago and an Adjunct Associate Professor in the Department of Electrical Engineering and Computer Science at Northwestern University. He received a Ph.D. in Computer Engineering from Syracuse University in 1995. His research interests are in high-performance computing, parallel programming models, runtime systems, communication libraries, and parallel I/O. He is an active member of the MPI Forum that defines the Message Passing Interface (MPI) standard. He is also co-author of the MPICH2 implementation of MPI and the ROMIO implementation of MPI-IO, which have thousands of users all over the world and form the basis of commercial MPI implementations from IBM, Cray, Intel, Microsoft, and other vendors. MPICH2 received an R&D 100 Award in 2005. Rajeev is a co-author of the book "Using MPI-2: Advanced Features of the Message Passing Interface" published by MIT Press, which has also been translated into Japanese. He was an associate editor of IEEE Transactions on Parallel and Distributed Systems (2003-2007) and is the Technical Program Chair for the SC12 conference. Robert Latham is a Software Development Specialist at Argonne National Laboratory. After earning his BS (1999) and MS (2000) in Computer Engineering at Lehigh University (Bethlehem, PA), he worked at Paralogic, Inc., a Linux cluster start-up. His work with cluster software including MPI implementations and parallel file systems eventually led him to Argonne, where he has worked since 2002. Rob's research focus has been on high performance IO for scientific applications and IO metrics. He has also worked closely with many application groups to effectively use available tools and technologies. He is the Argonne PI for the Damsel data model library, and the Technical Lead for the ROMIO MPI-IO implementation and the Parallel-NetCDF scientific I/O library. He has also worked on the parallel file systems PVFS (v1 and v2) and I/O tracing and statistics tools.